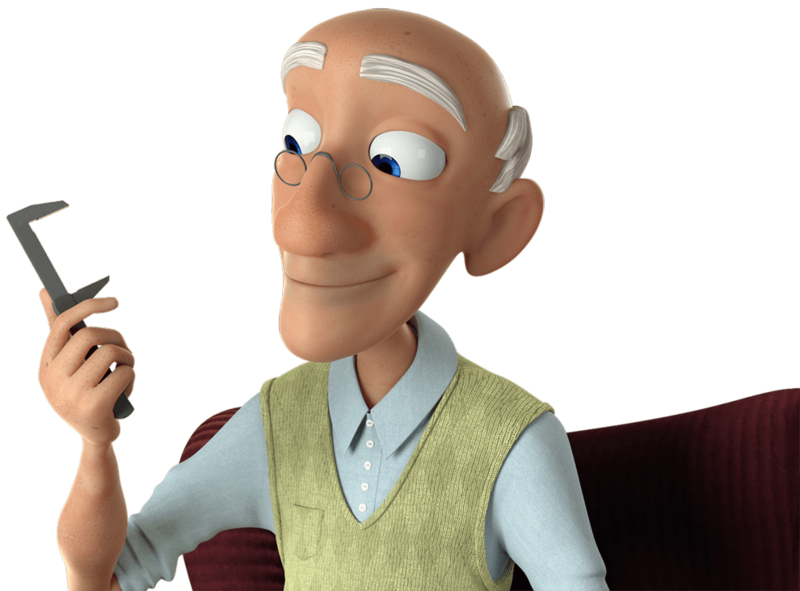 „When John Goes Outside“ is a 3D animated short film which tells the story of John and Flabby – a story about friendship, but also about life and death. It is produced as a graduation project for the master degree course MultimediaArt at University of Applied Sciences Salzburg. The core team consists of Bettina Tytko (script editor, director & 3D artist ), Ines Abraham (manager & producer), Viktor Lissy (3D artist) und Alexandra Leciejewicz (3D artist). In total, over 20 people are working on the project helping John and Flabby come to life. Flabby is bigger, bolder and also cheekier than other caterpillars. He sneaks out of his terrarium to hide in the craziest places in the house and keeps old John quite busy. But when John looks into the caterpillar’s big purple eyes he just can’t get angry. Flabby feels safe and comfortable in his home. He loves to watch nature documentaries with John and dreams about becoming a butterfly and flying across flower fields one day. John is like a father for flabby whom he trusts blindly. But John has a plan which he is going to pursue whatever the cost.